St Paul: Old Federal Courts Building, 1894-1904. Architect Willowby J. Edbrooke. 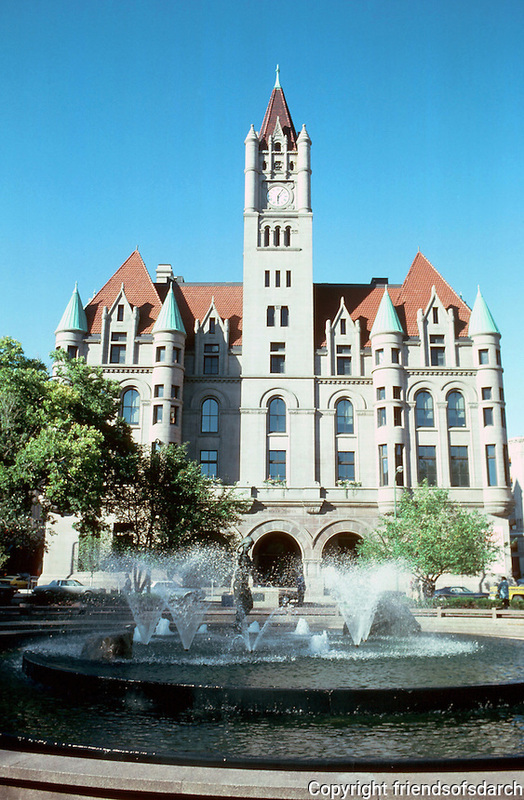 Now Landmark Center after renovation in 1978 and listed on NHRP. Richardsonian Romanesque style with turrets, gables and dormers, clock tower. Photo '97.